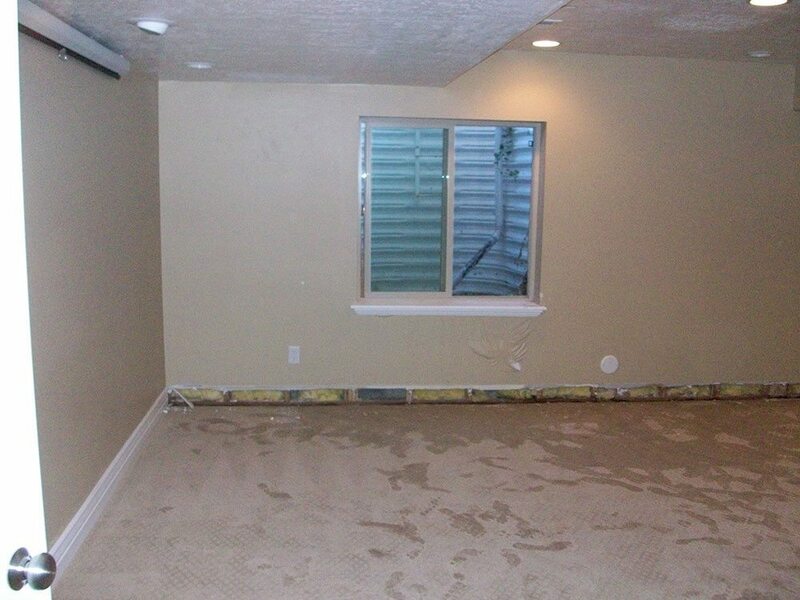 AAA Restoration provides a range of water damage restoration services through Utah. Our team has the knowledge and the latest equipment necessary to perform the restoration quickly and efficiently. After all, we understand that early and effective response in this situation prevents mold growth and further structural damages. Leave your flooded home in our capable hands and we’ll give it back to you looking like nothing untoward happened in the first place. 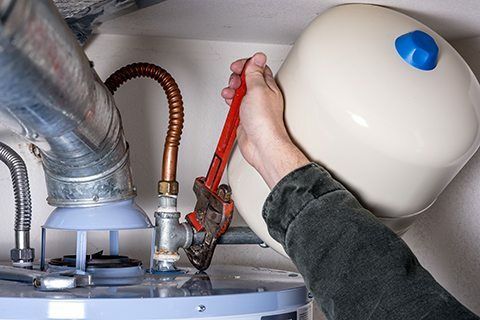 Water is only meant to occupy certain designated areas of home plumbing or appliances, and when it finds its way into other areas, it can be damaging. 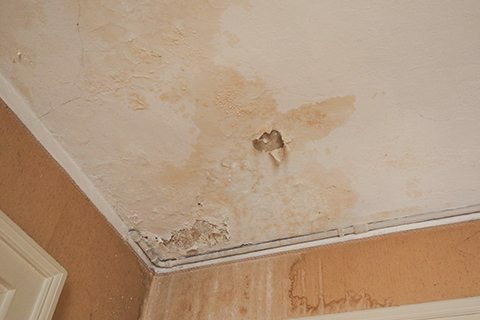 Water damage in the home can cause issues ranging from ruined possessions all the way up to serious mold concerns or weakening of the structural foundation of the home. One of the primary factors in helping prevent and quickly clear up any water damage issues? Noticing the signs quickly and early on. The earlier water damage is spotted and identified in the home, the faster you can get the experts from AAA Restoration on the scene to prevent additional damage and begin the cleanup process. Pipes in your home sustain a significant amount of pressure on a day-to-day basis, and this can reach a tipping point if they’re supplying drains that become clogged. The first issue you’ll often see here is pipes that have burst or begun to leak – you may not directly see the water, as it’s often in a hidden pipe location, but you can see other signs. These include cracks in the foundation, mold growth and, perhaps most tellingly, a sharp rise in your water bill that can’t be explained by increased usage. Another sign of a leaking or burst pipe is discoloring or bubbling drywall. The other area in the home where large quantities of water are used is in various home appliances, including air conditioners, dishwashers, washing machines, water softeners, refrigerators, hot water heaters, and more. These appliances can lead to moisture buildup in the home. When this moisture cools down after the appliance is done working, it will combine with mold spores and promote the growth of mold. The lowest parts of a home are naturally at higher risk for water damage – water always seeks the lowest point, and gravity is a tough enemy to fight. Leaks from water sprinklers, rain gutters, or other landscaping issues, and drips from higher parts of the home may fall through into areas like the basement or the crawl space, potentially leading to everything from mold to major structural concerns. All homeowners, particularly those in wet areas or who have had water damage in the past, should regularly check these areas for any water. Mother Nature is the source of many of the worst disasters that lead to water damage issues, but how you prepare and respond is vital. Even if you can’t stop an event like a sudden storm or a flash flood, there are tactics you can take to minimize the potential damage. From preventative rain gutters to numerous other considerations, the AAA Restoration pros can help you prepare for these kinds of issues – and we can help you minimize cost and damage in cases where such an event takes place. What Can Water Damage Do to Your Home and Health? Water damage can cause discoloration of furniture, walls, floors, carpet and other prominent areas. Warping can take place on everything from paper goods in the home up to furniture delaminates or hardwood flooring. Musty odors become apparent and disruptive based on standing water. Water damage can spread from its initial area into other areas if unchecked, leading to secondary damage and increasing potential insurance claims and restoration costs. Clean water can quickly become grey water, which can threaten human health in multiple ways. Odors can continue to build and worsen. 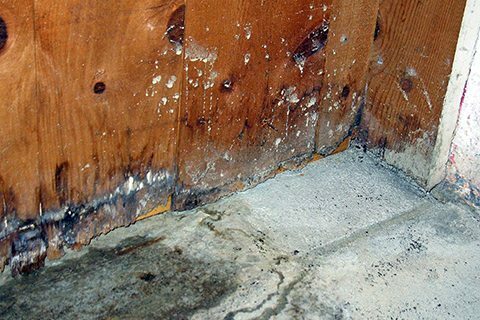 Fungi may begin to appear as water damage becomes a full-on grey water intrusion. Swelling and warping of various components continue due to a rise in humidity in the home caused by the damage. Drywall and other porous building materials will swell and even begin to disintegrate. Metal surfaces may begin to rust while items like joists and studs begin to warp and split. Health hazards associated with indoor air quality may begin to arise, and those with previous health issues or compromised immune systems may begin to experience negative symptoms. Mold may begin to erode natural fibers and other building materials. Claim costs for insurance rise dramatically and demolishing or replacing parts of the building often becomes necessary. Regular Checks: All homeowners, especially those who have had water damage issues in the past or who live in high-water areas, should regularly check the high-risk areas of the home for water damage. These include areas like basements and crawl spaces, as we discussed above, plus attics where water from a leaking roof might sneak in. In addition, regularly check water-related appliances in the home to ensure they aren’t leaking or otherwise malfunctioning in a way that could cause damage. Water Pressure: Another smart area to keep an eye on in the home is water pressure. Pipes and hoses are designed to withstand normal levels of water pressure, but if the pressure gets too high, they may fail and either burst or begin leaking. A water pressure gauge is easy to find at your local hardware store – most homes should have a psi (pounds per square inch) rating of between 40 and 70. If yours reads over 100 psi, you should consider a pressure regulator. Outdoor Concerns: Particularly during the colder and wetter seasons, pay attention to a few areas outside your home. Be sure to disconnect and properly empty all hoses before winter, and also clean your gutters and downspouts at least twice a year to prevent damage to the roof and overflow issues. Make sure your gutter downspouts point away from the home and clean them to make sure water can pass through. Water Main: Always be sure you know the location of your home’s water main. If you leave for a vacation or any other prolonged absence, you can turn this off to ensure no faucet drips or other leaks can cause major water damage while you’re away. In addition, if water damage does take place, you’ll know where to shut off your water right away to limit the damage. 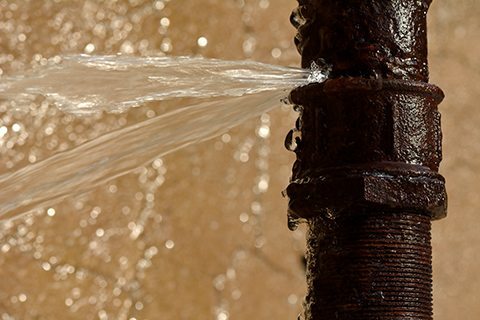 Investigate and Fix: If you notice the signs of even a minor water leak anywhere in the home, investigate the cause and do your best to fix the leak right away. Our AAA Restoration experts are here to help if there’s a fix you don’t know how to perform. Know that damage caused by lack of maintenance is often not covered on homeowners’ insurance policies. Water Bill: Finally, monitor your water bill every month. In some cases, water damage is only detected by a big spike in the bill that can’t be explained by increased usage or other factors. As we’ve alluded to above, water damage may lead to a need for an insurance claim. These are some of the most common property claims out there, and because they often cause major expenses for insurance companies, this can be a tough area to navigate for a homeowner. Here are some basics we at AAA Restoration want you to know about dealing with water damage repair and related insurance claims. Every insurance policy is different, but almost all home policies will cover water damage where the cause was “sudden and accidental” – this includes burst pipes, overflow, sewage backups and leaks from windows or roofing. Water damage may also appear gradually over time, however, and this is where things can get dicey. Request a certified copy of your insurance contract, including mold provisions, limitations and your responsibilities. Mitigate your water damage, but do not begin restoration until you and your insurance company have agreed on the scope of damage. Document all damage with photos and/or videos. Get a third-party estimate on the cost of restoration (our AAA Restoration experts can help here). Request a written explanation from your insurance company if your claim is not settled within 45 days of filing. How you respond in the aftermath of discovering water damage in your home can go a long way toward minimizing your cost and hassle in mitigation and restoration of your damage. Here are a few basic dos and don’ts for this period. Remove wet floor coverings and any rugs, while beginning to remove water in affected areas through mopping and blotting. For furniture, simply begin wiping affected areas. Turn off all electricity in any areas with water damage. Move photos and other art items from the area into a dry space. Pull out damp books or other paper items from shelves and spread them out so they can begin drying. Use a normal home vacuum to remove water damage. Remove a tacked down carpet – shrinkage can result if this lifting is done improperly. Use any electrical appliances in or near the affected area. Enter rooms with any standing water before turning off the power to these rooms. Water damage can double or even triple the humidity in your home, and this can lead to the formation of bacteria. This is often the source of your smell. What goes into the restoration process? Inspection of the area plus attempt to stop any additional damage. Water extraction machinery is used to remove standing or access water. 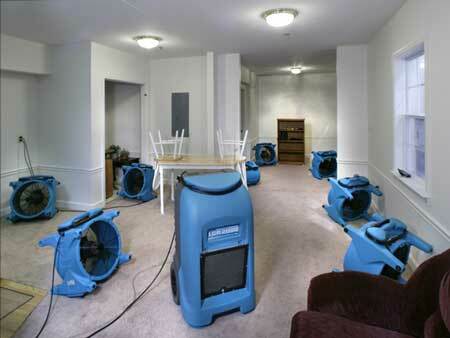 Dehumidifiers and industrial air movers are used to dry the area. 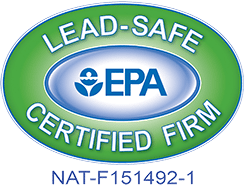 We test your air to ensure no contaminants are still present, and that moisture and mold spores are gone. The answer here depends on several factors: The location and size of the damage, the building materials used, how quickly you got our restoration services on site after the damage was discovered, and even weather conditions in your area. Average estimates range between three and five days, but this is not a hard and fast rule. Proper prevention of mold and extraction of water damage simply can’t be done with non-commercial equipment. 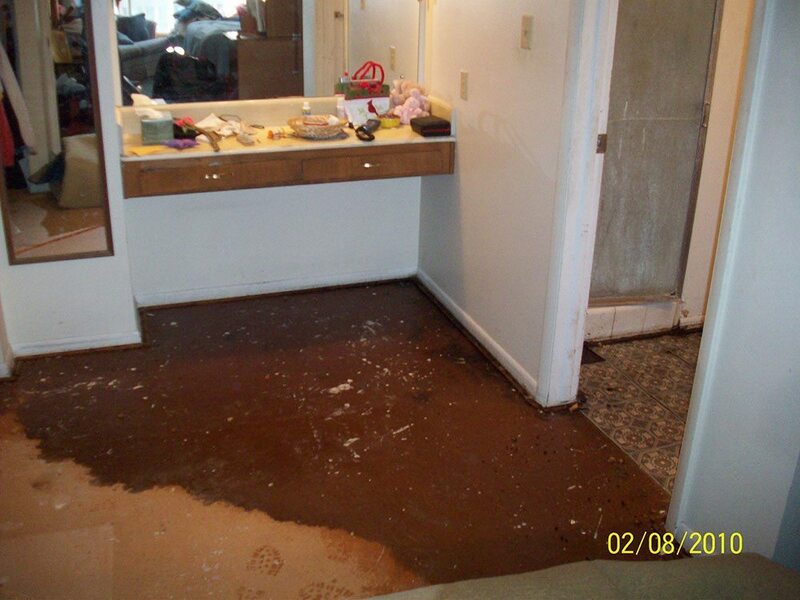 Any significant water damage should be handled by our experts. Do I have to move during restoration? The major issue some homeowners find with the restoration process is noise – our air movers and dehumidifiers can be loud. If this is a concern for you, you may indeed want to consider finding alternative lodging for a few days while we complete the process. How do I fix sewage contamination? Areas that have been impacted by sewage contamination can generally be cleaned and sanitized in the case of hard surfaces. Porous materials, however, including drywall, insulation and paneling, should be removed. Why does the public adjuster wait so long to inspect the damage? We mentioned insurance adjusters above – there may be times where they wait until the dry-out process is complete before assessing damages. In other cases, due to the relationships we have with the insurance adjusters, they may just use our photos and the scope of our repairs to designate their judgment. Can you refer me to a plumber after? Absolutely. In many cases, water damage is due to an issue with faulty plumbing. If this is the case for you, we’re happy to recommend you to one of our licensed, reputable plumbers to help permanently solve this issue.